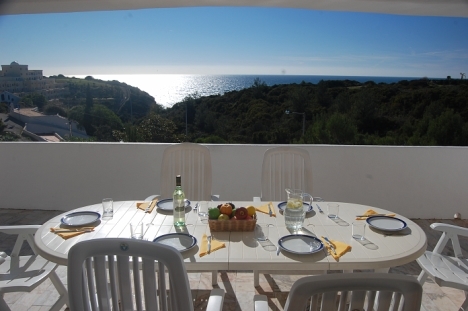 Casa Birgitta is a charming 3 bedroom villa, 2 bathrooms with kidney swimming pool and stunning seaviews, numerous terraces located in a quiet and peaceful cul-de-sac, just 300m from Centianes beach and close to an family friendly restaurant. A staircase leads down to the sleeping area, with the master bedroom offering a super kingsize bed and ensuite jacuzzi bath, separate shower, twin basins, toilet and Bidet. There is a further two bedrooms on the lower ground floor, another super kingsize and a triple bedroom, these two share a bathroom with shower over the bath, basin, toilet and bidet. All the bedrooms have access via patio doors to the pool terrace area. 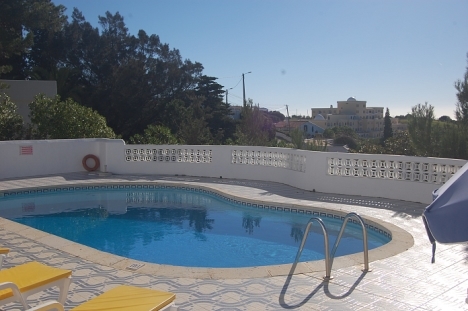 Outside on the lower ground floor there is 9m by 4m swimming pool, sunbeds, outdoor shower and great seaviews. This terrace is gated for extra safety. There are mature gardens surrounding the house. 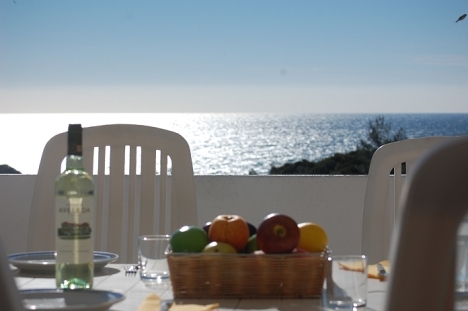 Casa Birgitta is about 1.7km to the east of Carvoeiro and is just 300m from a lovely sandy beach, a couple of minutes walk from the nearest restaurant (take away available) and within a 5-10 minute walk there are another 3 restaurants. Carvoeiro with its shops, restaurants, bars and beach is about a 20 minute walk or around a 5 euro taxi fare. If you are keen on your sports, the 2 closest hotels allow clients to hire their tennis courts. Vale de Mihlo 9 hole golf course is about 20 mins walk, along with Rocha Brava and its tennis club. There area a number of championship golf courses within a 10 minute drive. Before you reach Carvoeiro, there is the Tivoli with its SCUBA diving school, based at Vale Covo beach. 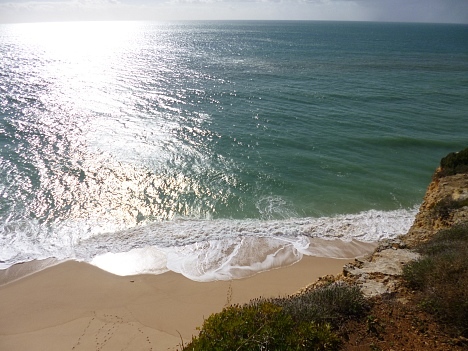 If you refer to the villa book there is a guide to lots more to do in the Algarve and contacts with a local transfer and tour company to offer you tickets and transport.